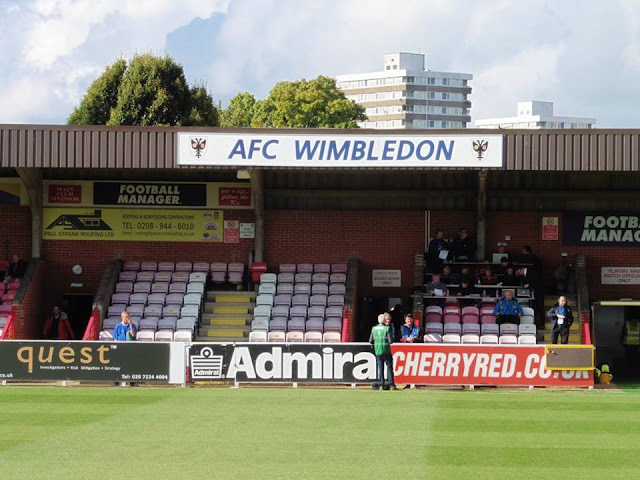 In May 2002, The FA had backed a 3 man independent commission decision to allow the original Wimbledon FC to relocate the club 56 miles up north to Milton Keynes in Buckinghamshire. 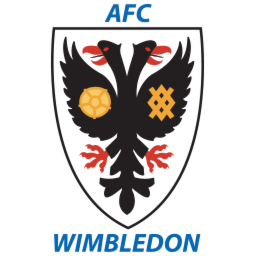 When the move was approved, this of course angered Wimbledon fans, and then the fans decided to form a new team in London, AFC Wimbledon. 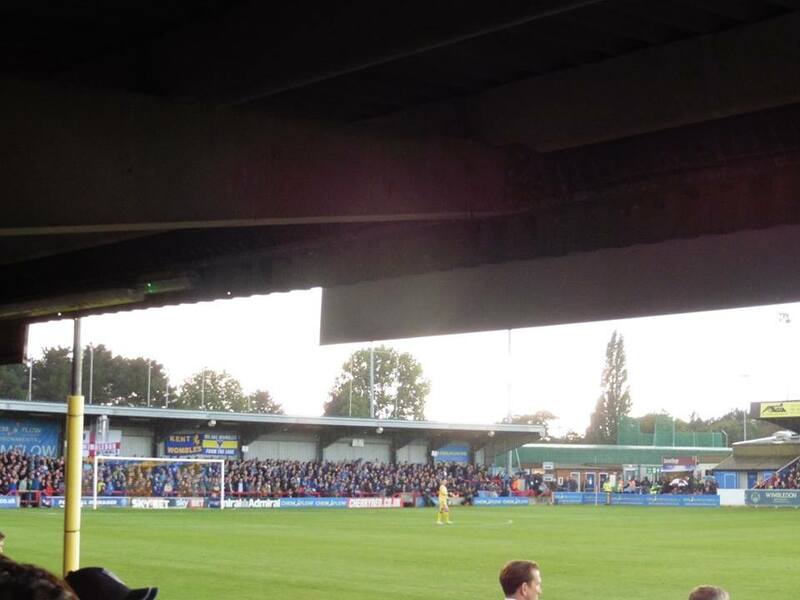 AFC Wimbledon's first ever game was a friendly against Sutton United, which resulted in a 4-0 defeat but with a crowd 4,657. 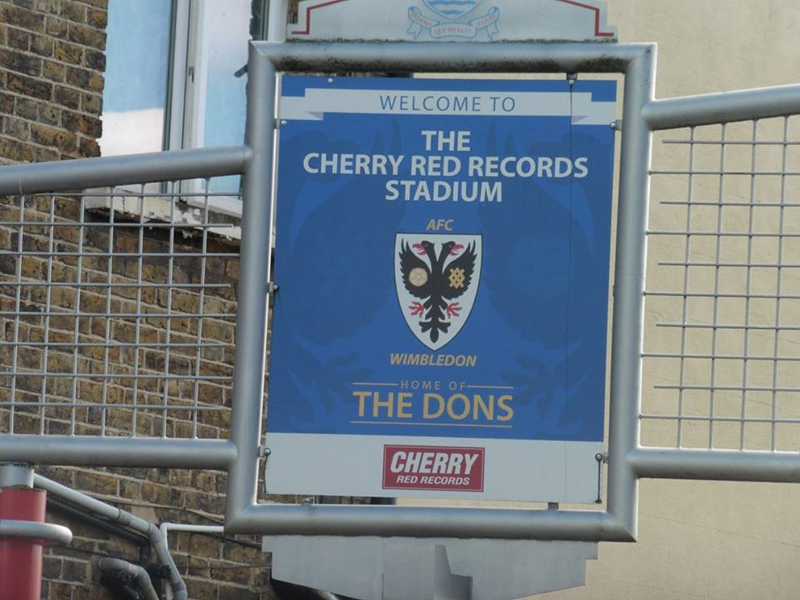 In the 2003-04 season, The Dons won their first 21 League games before that ended with a 2-2 draw with Sandhurst Town. That resulted in manager Terry Eames in getting suspended and sacked 5 days later on the grounds of gross misconduct in the club. 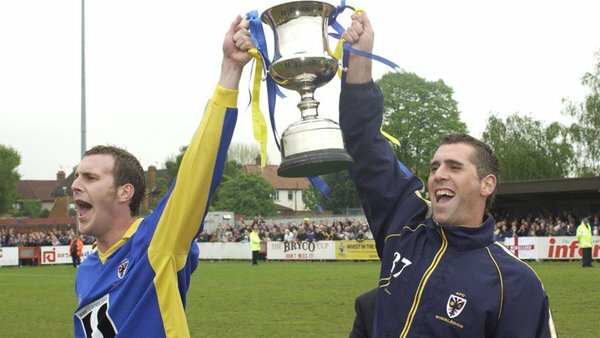 AFC's first League title win was in 2004, winning the Combined Counties League. AFC Wimbledon were promoted to the Football League in 2011. They won on penalties against Luton Town at the City of Manchester Stadium with future Gills striker Danny Kedwell at the time scoring the winning penalty. 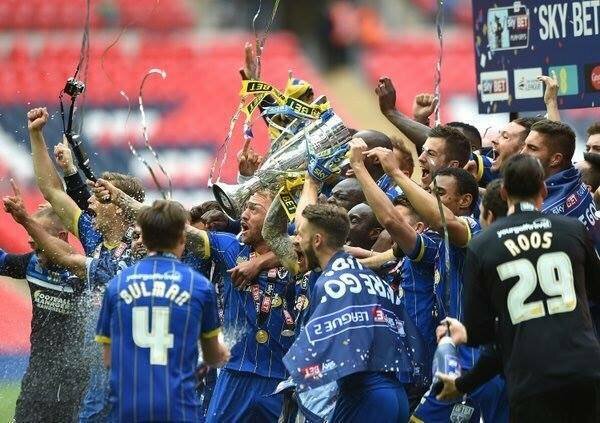 Promotion was sealed once again in 2016 after winning at Wembley in the League Two Play Off Final against Plymouth Argyle. A 2-0 win for the Dons sealed another promotion since re-forming in 2002, goals coming from Lyle Taylor and Adebayo Akinfenwa with the goals. 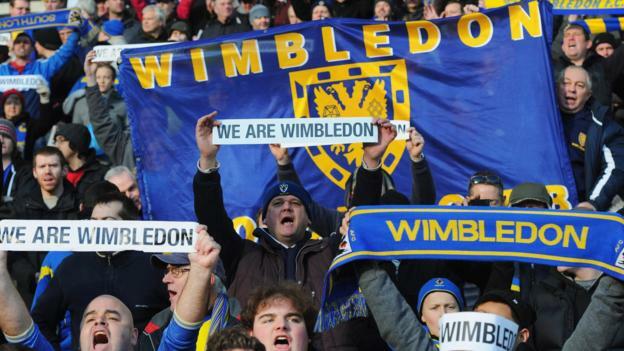 AFC Wimbledon's main rival is of course Milton Keynes "Dons". 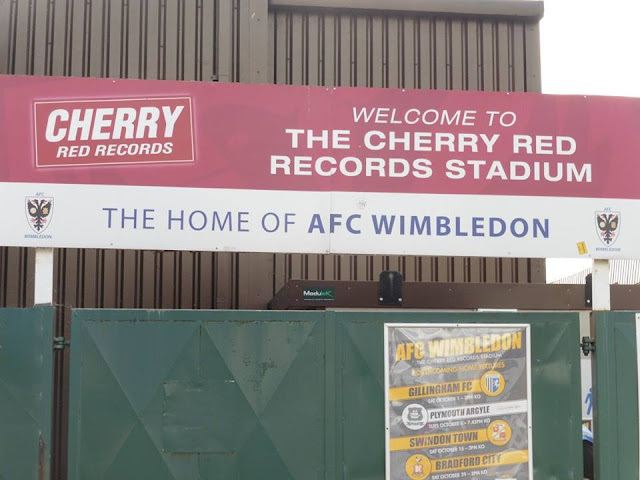 The main reason being the original Wimbledon FC being relocated 56 miles up north to Milton Keynes which angered fans. 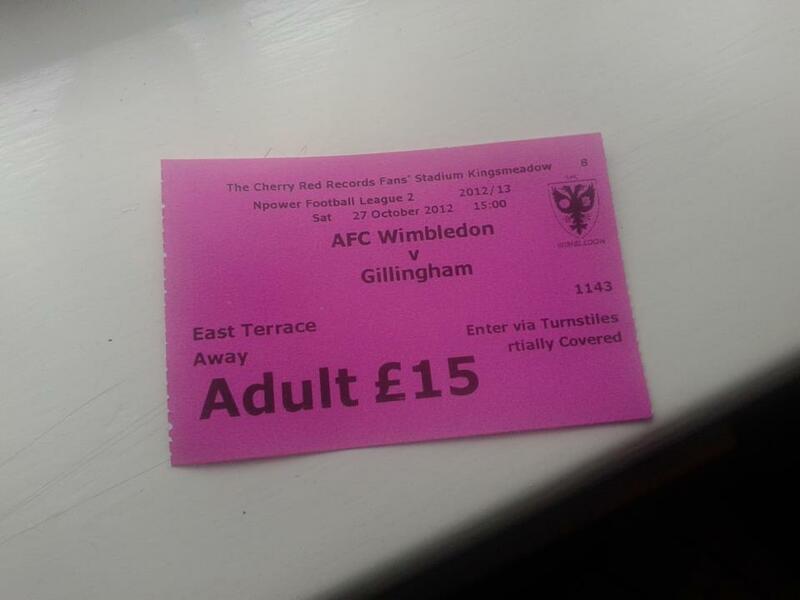 The 1st meeting between the 2 clubs was in 2012 which saw Milton Keynes beat AFC Wimbledon 2-1 in the FA Cup 2nd Round. 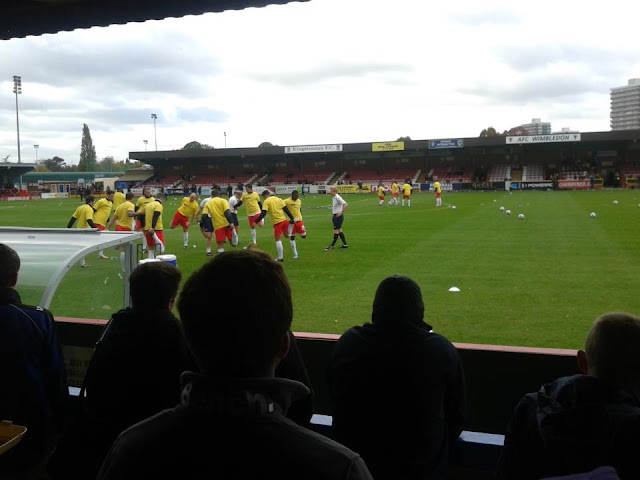 Other rivalries include Crawley Town, Sutton United, and the London derbies with Millwall and Charlton Athletic. 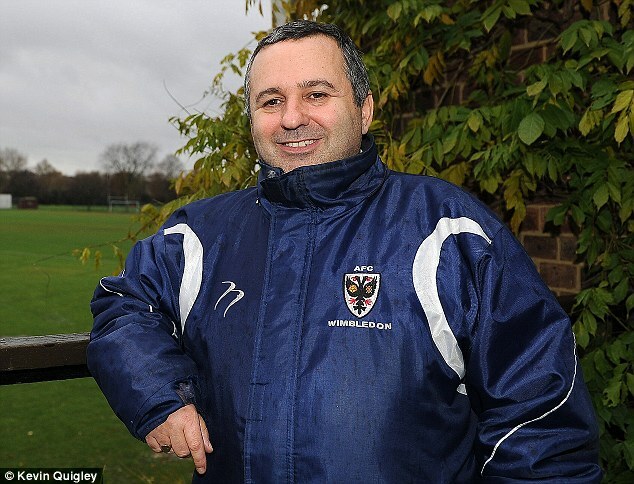 Ivor Heller, one of the founding members of AFC Wimbledon when the club was created in 2002. 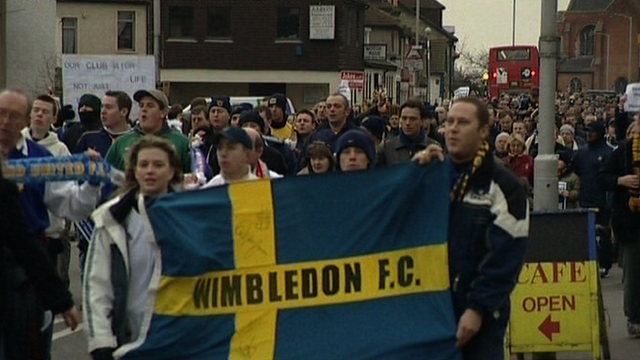 Wimbledon fans protesting on the club moving to Milton Keynes. 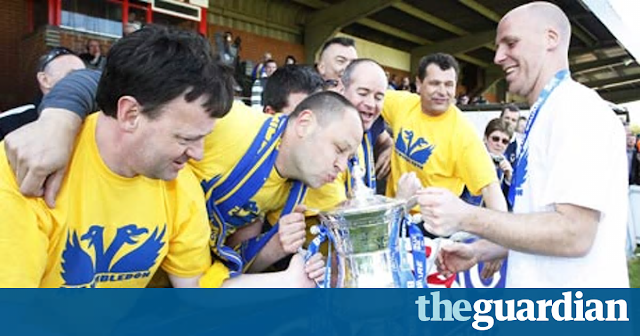 Danny Kedwell celebrating after scoring the winning goal against Luton in the Conference Play Off Final of 2011. 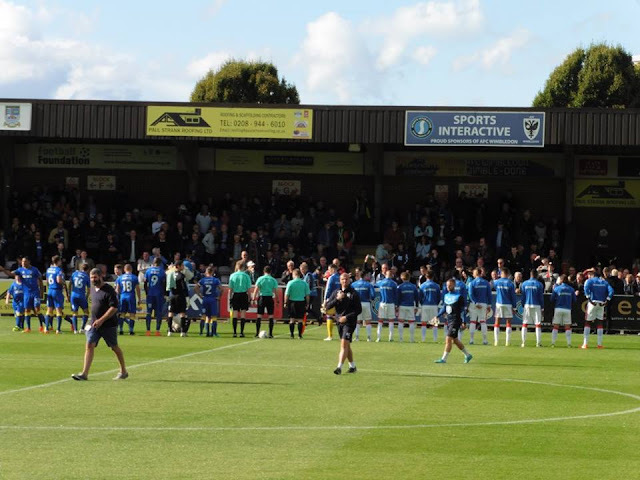 AFC Wimbledon celebrating promotion into League One, May 2016. How 1 club became 2 enemies. 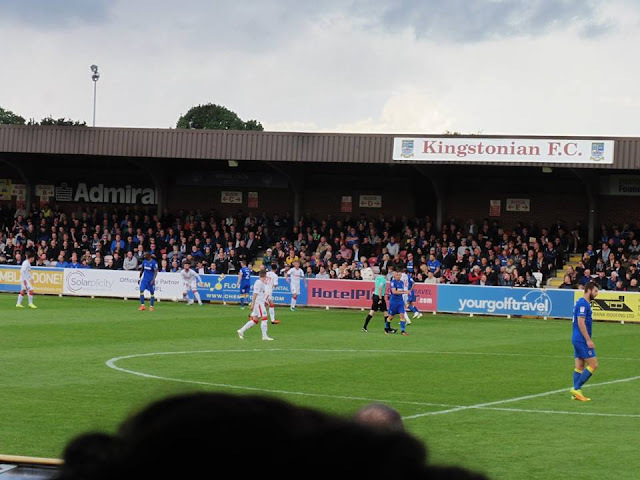 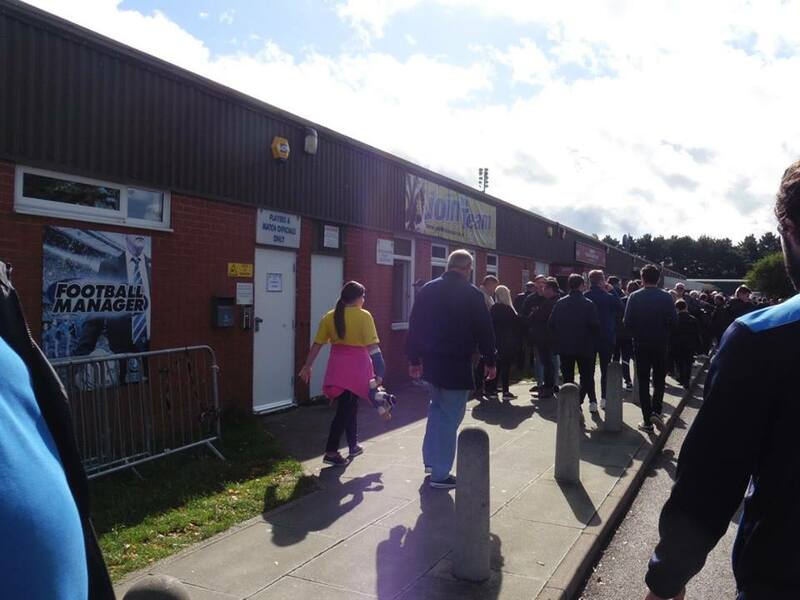 My latest visit to the Kingsmeadow was back in the beginning of October, another short journey to Kingston Upon Thames. 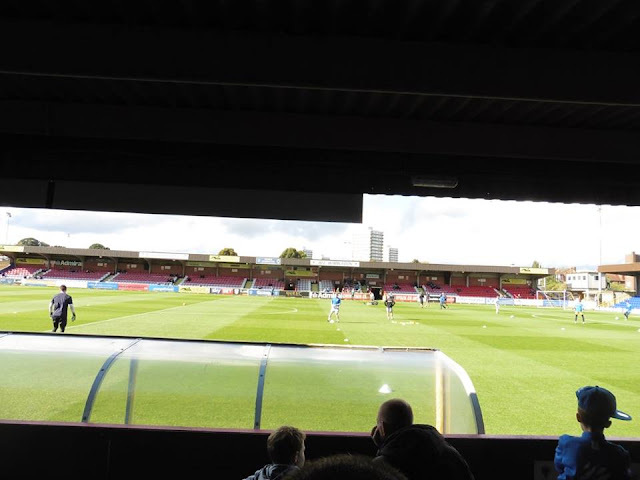 Again I'm not a massive fan of the ground itself but in a way I was looking forward to a re-visit, only realised it was actually my 4th visit and not my 3rd due to going there years ago to watch Wimbledon vs Aldershot. 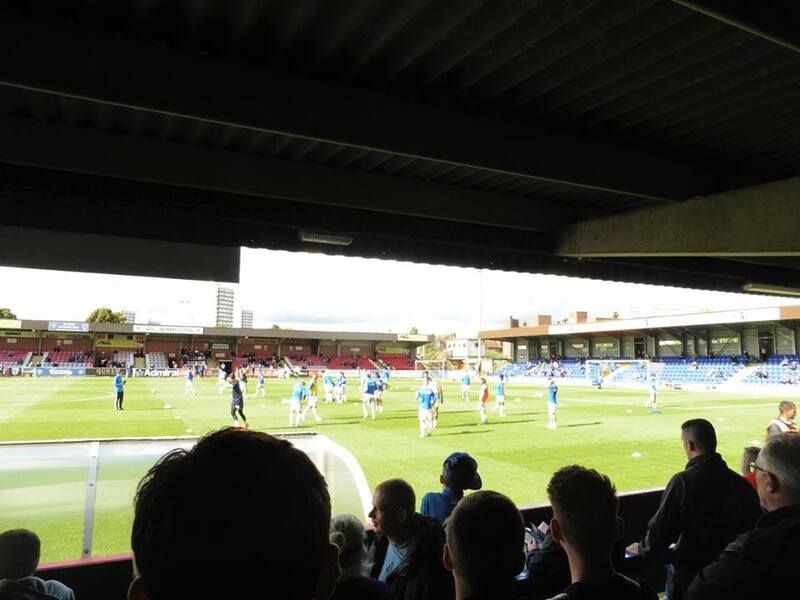 So anyway, my 4th visit was another train ride, although I had been by train before, I double checked on Google Maps to see if it was the way I thought it was etc. Anyway, Wimbledon away came and I left home about half 9 as I wanted to pop into the bookies early and put some bets on as I had been working all week so hadn't had a chance to put any on. So anyway, I got the 10.11 train which got me into Strood by 11. Met up with Dave, got our train tickets and left half an hour later. Got into St Pancras by 12 and grabbed a Maccy D's, and then got onto the tube to Vauxhall and then another train out to Norbiton which is around a 15 min walk to the ground. 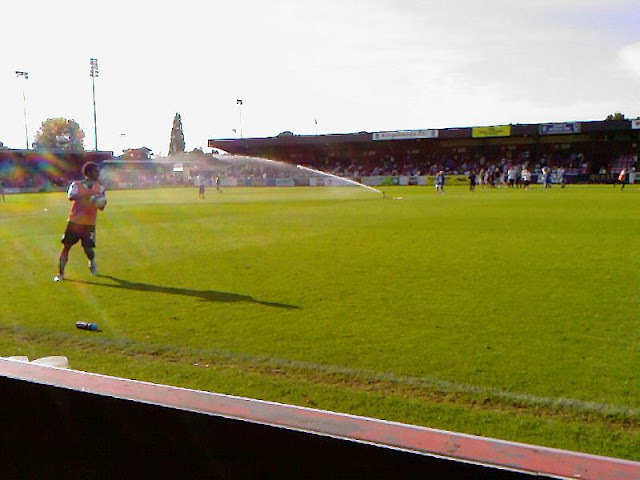 After taking some pictures (and my programme falling out of my pocket and landing into a huge puddle haha) I got into the ground by 2. 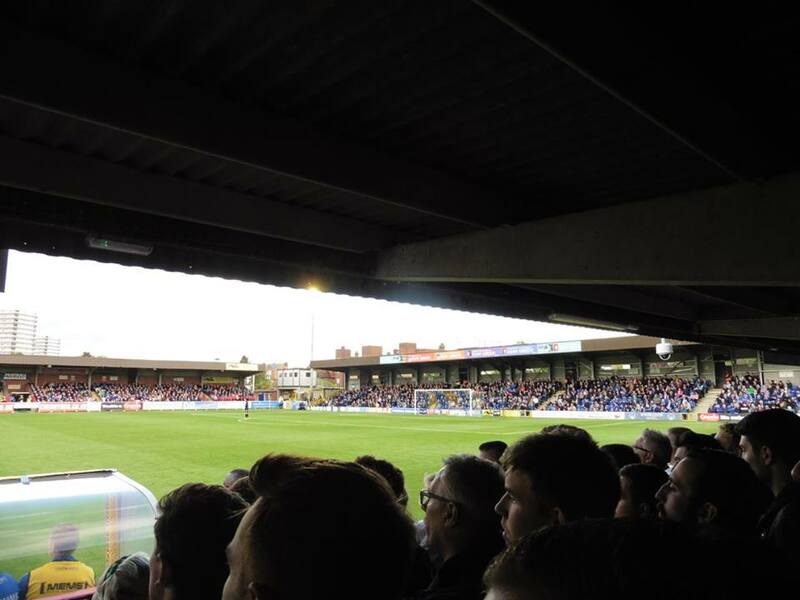 Huge respect to the club itself but not so much respect to the ground, such a tight little small ground which you can barely watch much of the game unless the ball is played towards the right hand side of the away end but to be honest, it wasn't too much to watch anyway. 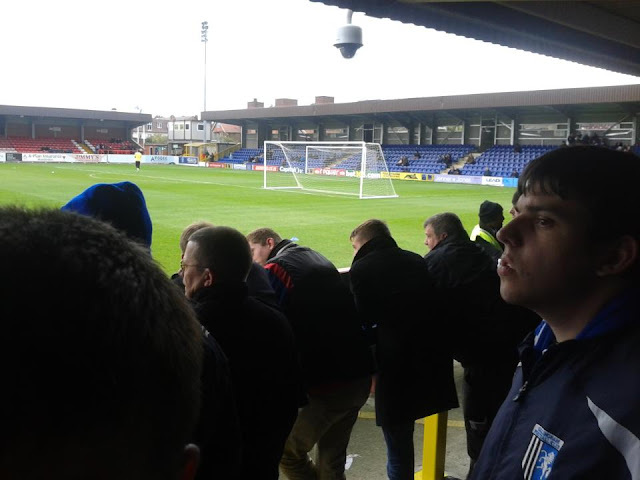 It was a dire game with 2 very poor teams and it was another typical Gillingham away performance. A 2-0 defeat which probably was deserved, but Wimbledon weren't much better themselves. 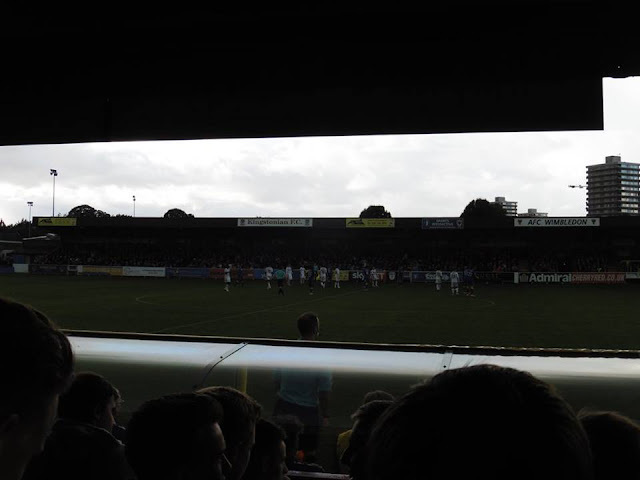 Another game which saw injuries, and our player Rory Donnelly put his middle finger up at the Wimbledon fans which saw the referee give him a straight red card. 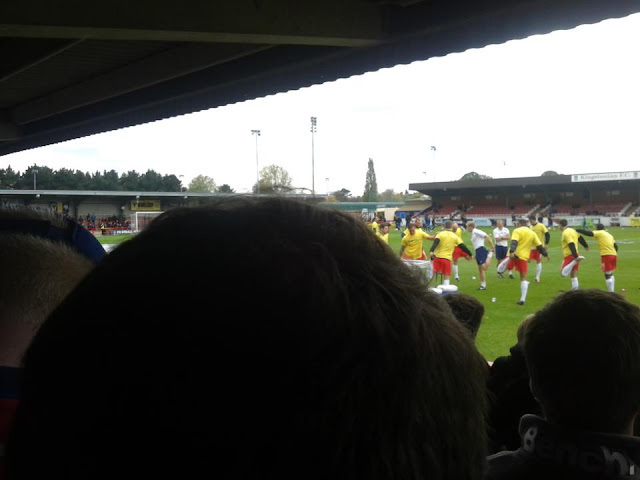 Not really too much to say about the game really, was another good day, just 90 minutes of football ruined it a bit. 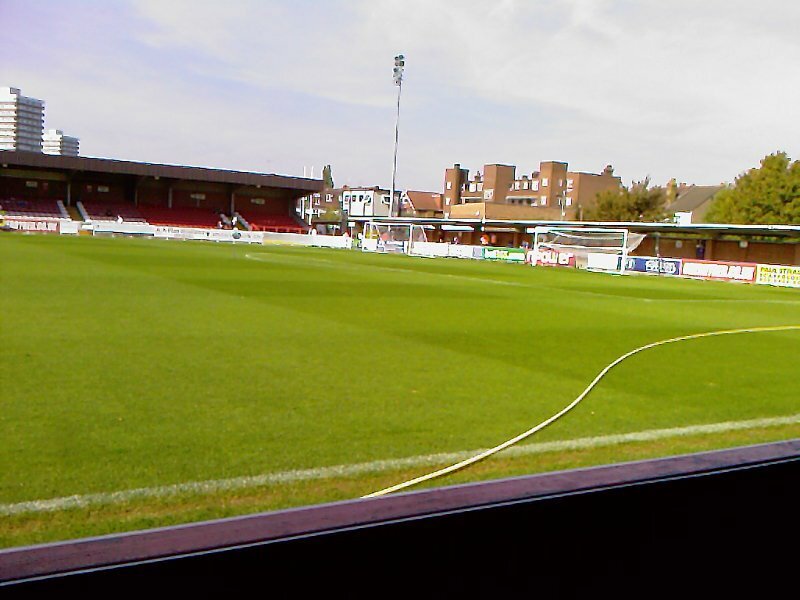 Anyway afterwards, I got back into Strood by 7 with no problems on the trains which was a bit of luck.